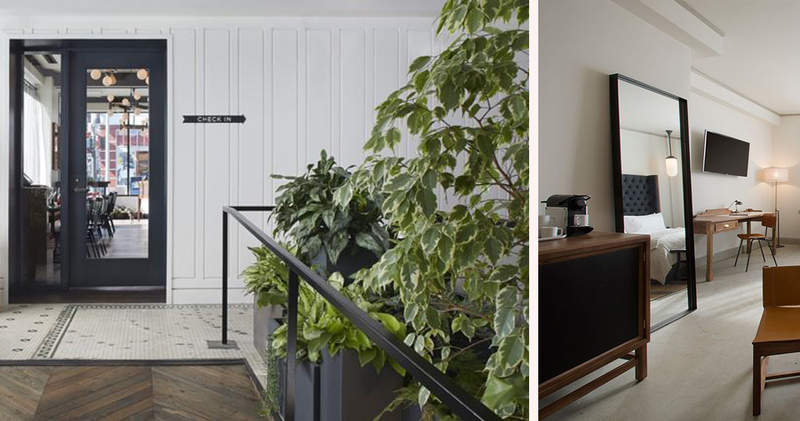 With a simple and relaxed design, Hotel G is a boutique hotel that has preserved its historic features. 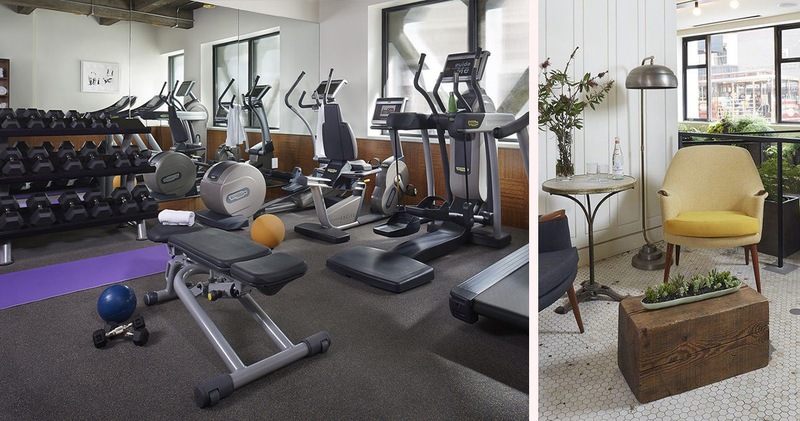 Located near Union Square, Hotel G offers convenient access to Lombard Street and the Ferry Building. The hotel was first established in 1909 as The Fielding Hotel. Renowned poet Robert Peterson grew up there and was heavily influenced by the jazz musicians, gamblers and boxers that visited. 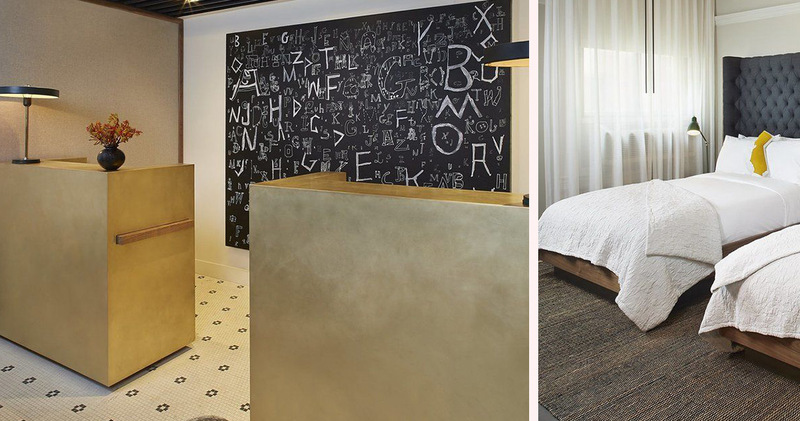 Today, Hotel G San Francisco is a boutique hotel with excellent character. The decor is simple and elegant, with rough-hewn beams, white paneled walls and restored historic features. The public spaces feature original works from Creativity Explored artists. The G Shop in the lobby offers an interesting mix of travel necessities and artisan keepsakes. 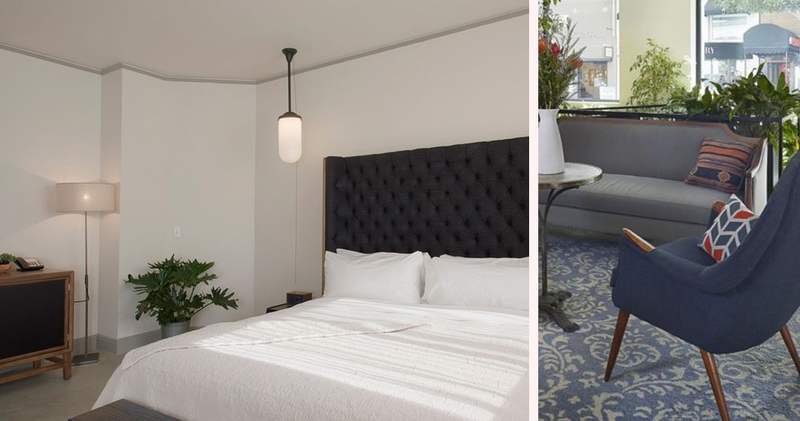 The guestrooms at Hotel G are well-tailored, simple and inviting. The decor is elegant and minimalist, using a black and white color palette. With large windows and delicate drapes, the guestrooms have a light and airy feel. 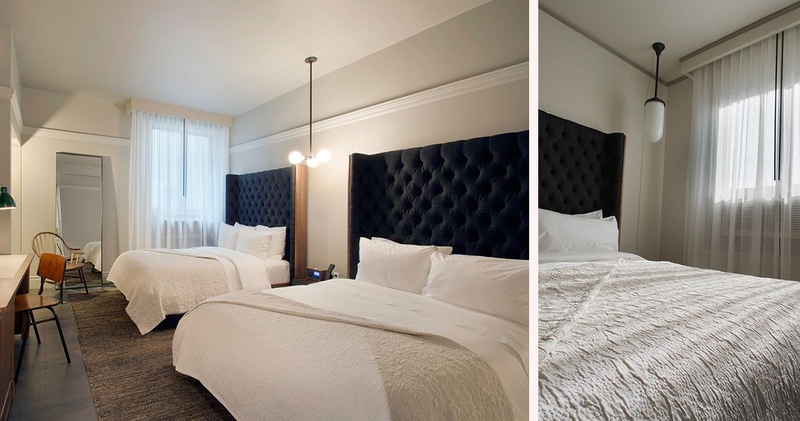 The beds feature Beauty Rest Pillow top mattresses, luxurious Mascioni linens and tufted black headboards. 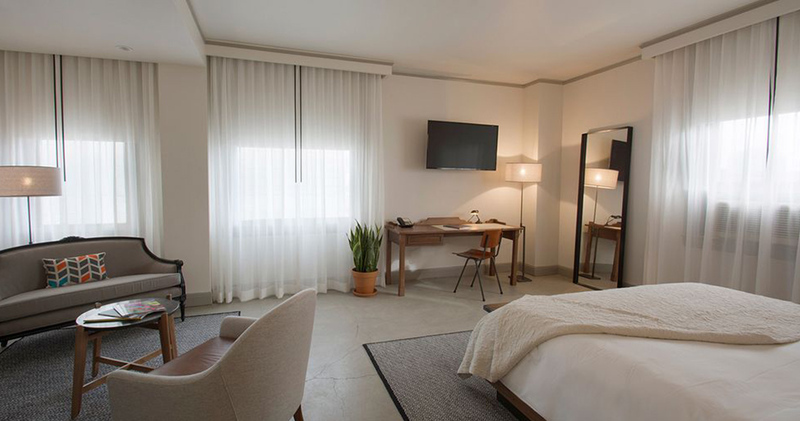 Hotel G San Francisco also offers Tivoli clock radios and 42-inch Smart TVs in all guestrooms. Honor bars and Nespresso coffee machines are available for refreshments. 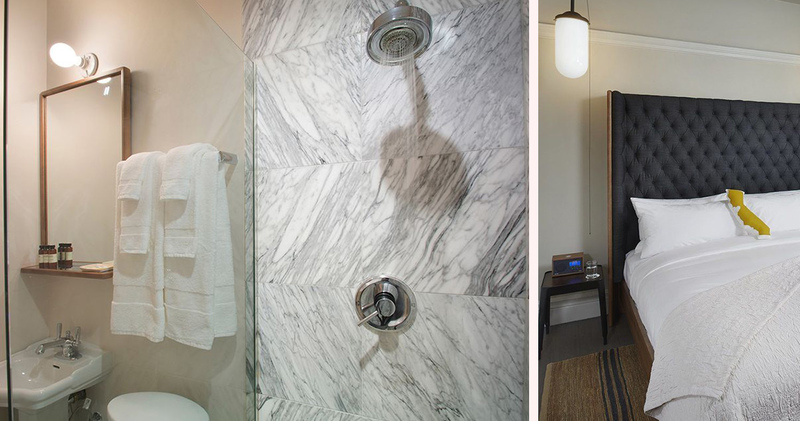 The bathrooms feature full-length marble tiling in the bath, marble vanities and minimalist design. 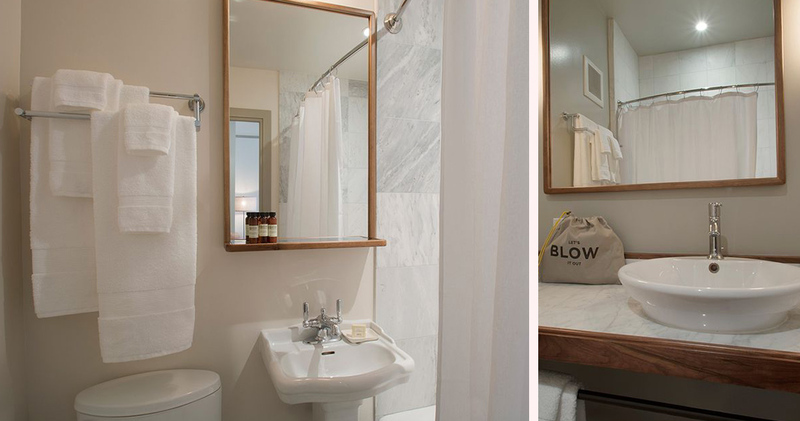 Guests can also enjoy the luxurious Bigelow toiletries provided. 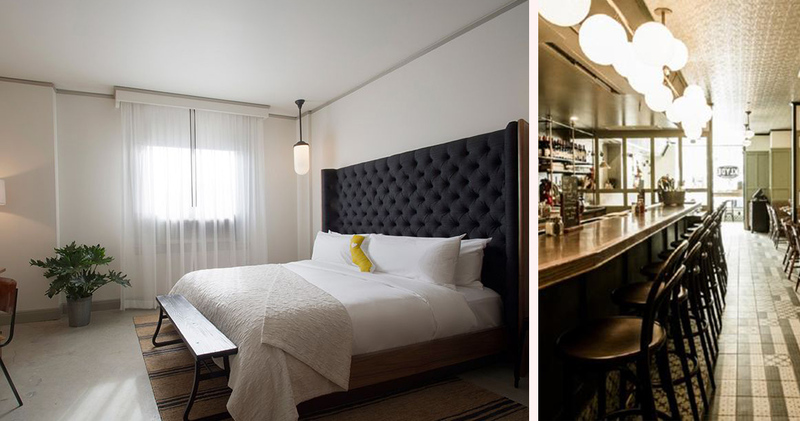 Hotel G is home to the 398 Brasserie restaurant. This laid back restaurant serves classic French cuisine using local produce. Klyde is a cozy wine bar with intimate tables, an extensive wine list and small plates. The hotel is also home to Benjamin Cooper. This cocktail oyster bar has a mix of contemporary and vintage decor.